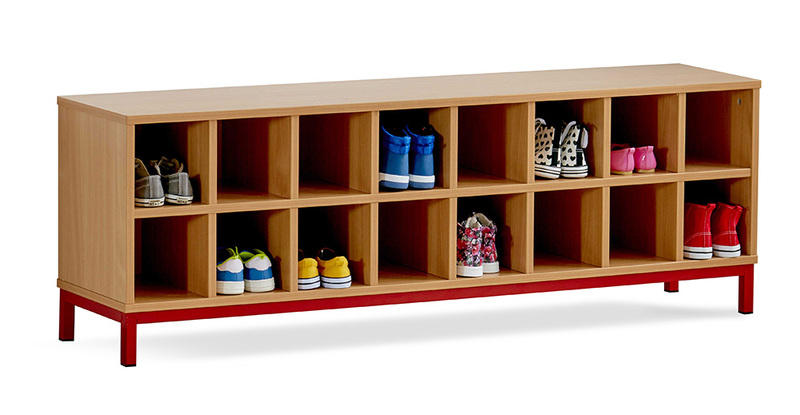 This storage bench is ideal for cloakroom areas in schools, pre-schools and nurseries. 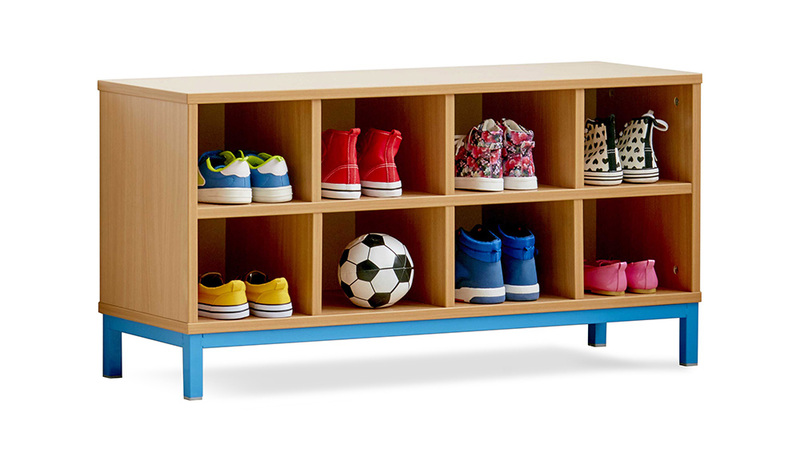 It is available in two sizes – choose from 8 or 16 open compartments – ideal for storing shoes or bags. This cloakroom bench is manufactured in the UK from durable MFC which is 18mm thick. You can choose from four different finishes – white, maple, beech or Japanese ash. The base of the unit is a metal frame with four static legs. The metal frame is available in 9 vibrant colours. Please note: the shoes featured in product images are not included. For more information please Contact Us or call us on 01733 511121.